This photo from AD shows perfectly a bedroom with matching bedside tables and lamps and art. It is a very soothing room and the fresh flowers are a nice touch. 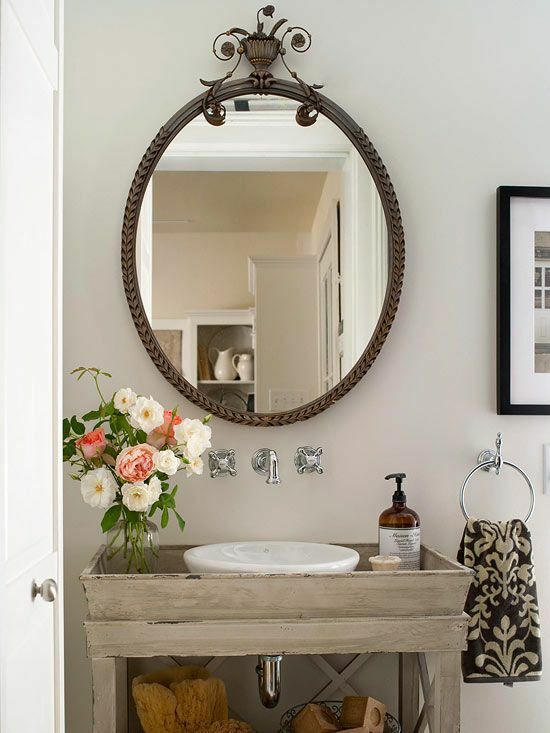 The bathroom is equally important in your first home together. You may be lucky enough to have separate bathrooms but if you are sharing be equipped to hold both of your toilet essentials conveniently. Purchase stacking storage containers or baskets labeled for each of you if no cupboard space is available. Ensure that your mirror is the correct height to allow both to see your entire heads. Never let one of you slouch or bend to see in the mirror. I like to recommend an indoor air care system called Lampe Berger which uses the process of catalytic oxidation to eliminate odor which can make the morning routine more pleasant! Very important functions happen in this room so keep it relaxing and clean. Remove garbage daily. It is a great idea to have a colourful plant and some art that has scenes from nature. Sea salt and lavender, if you have a bath tub, would be a great addition to this room in a pretty jar and a perfect remedy to soak away the stress of the day before retiring to your bedroom. 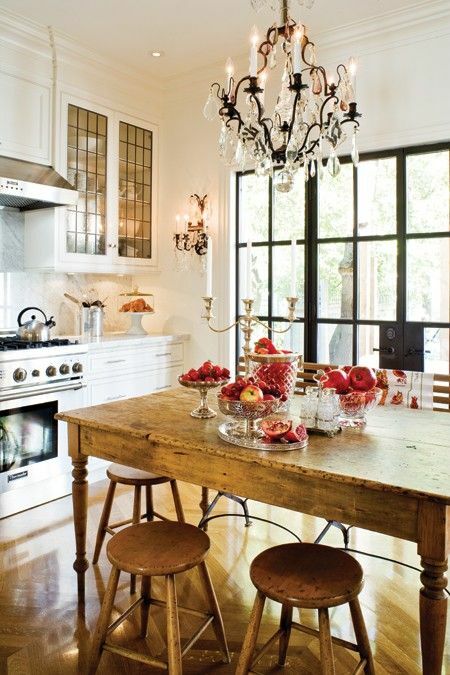 The kitchen is equally important as this is where you will be preparing your meals. Make sure your kitchen is clean and uncluttered and only keep on the counter the tools which you will use regularly. Create a space that is easy for you to cook alone or together. If you are both working, plan meals ahead, at least a day or two and employ a slow cooker. There are so many recipes for all types of diet preferences that can be prepared this way. Don’t fill your kitchen with gadgets you will never use. These only cause stress every time you look at them only to be reminded that you are not using them (guilt). Make dishes and cutlery easy to put away after cleaning and use stainless steel, cast iron and eco friendly cookware. Keep your fridge and pantry organized. Do this a little every day so it doesn’t build up to an overwhelming job. More storage containers in this case for pantry items that are bulk and used regularly can really clean up the look of your cupboards and streamline you cooking process. Using white in your kitchen will promote creativity and family and the use of earth tones in the form of your table and butcher block are good for health along with a green plant or two. The point here is to have a space you enjoy cooking in for your family and friends. Simplifying this process and making it enjoyable is essential. The more time to spend on fun and recreation with your spouse the better. You both need to feed your souls to stay happy as individuals which keeps you happy together.